As basketball heroes enter and leave the game, fans seem to want a little bit more. The NBA has continuously grown to be an elite league, with new superstars showing up each season. As young, full of potential players try to make a name for themselves, yesterday’s basketball idols complete a homestretch of playing years, and eventually ending their professional career. And as milestones pass and legacies left behind, fans are left with vivid memories of their hardcourt heroes. Now, light has appeared at the end of the tunnel for some players and their followers. Hip hop institution Ice Cube has created a pickup league for these retired athletes. This is a great chance for former NBA superstars to relive their glory days, an even greater opportunity for basketball addicts to glance back at wonderful memories. But the underlying question is: whose basketball career do fans want to revive? It’s an endless list, but PlayPH listed five potential hoop comebacks. AI was every small-framed kid’s hero. He was quick, sleek, and full of finesse. But despite his six-foot chassis, Iverson made sure he’d finish strong at the basket. Most would remember him for his patented Killer Crossover, which he so often blatantly used to humiliate his defenders. Another fond memory of The Answer would be this perimeter battle with the GOAT himself, Michael Jordan. Surely, fans would love to see AI lace up his Reebok’s, signature sleeve, and headband once again. Fans of the Shaq-Kobe era Lakers would die to see the most dominant big man once more. This four-time NBA champ made sure opposing teams knew who he was on the down low, with his tremendous size and scoring ability. Not only was he powerful, he was suprisingly quick for his size. He would be often seen backing up from the post, baiting his defender to reach in, then swiftly spin towards the baseline for an emphatic dunk. He’s a fun player to watch, especially when he’s away from the charity stripe. Not that KG’s Boston stint wasn’t exciting enough, but his early Timberwolves career made waves across the league a lot more. Many of his teammates describe KG to be the soul of every team. He played with so much emotion and passion for the game, it almost seemed as if his talent with the ball was effortless. 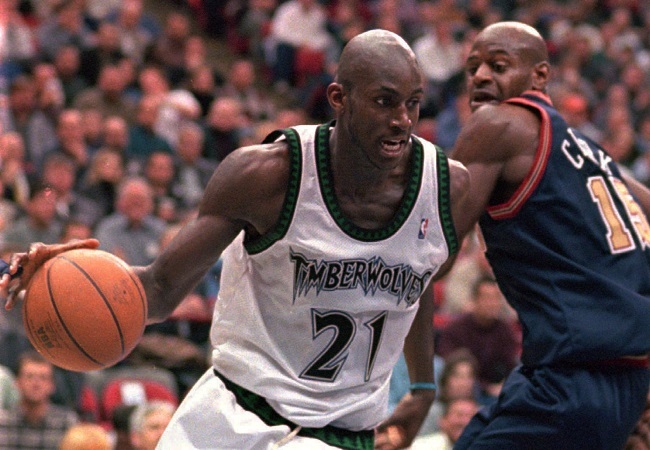 Garnett was an all-around guy, and was every coach’s dream player on the court. He can easily score from mid-range for a quick two, and had minimal difficulty getting to the basket, courtesy of his speed and long arms. In many ways, KG running the lengths of the court one more time would be treat for basketball fans. Who didn’t love Steve Nash? The way he ran the run n’ gun ‘04-‘11 Suns was pure MVP level basketball. Nash wasn’t your typical athletic point guard, compared to today’s generation of floor generals. He was his own kind, with a unique style of play you can only associate to him. He handled the ball like Houdini, and dished out incredibly nifty passes, and on top of that, put up scoring performances like no other. In this clip, we see an amazing behind-the-head pass from the Canadian point guard to a wide open Grant Hill in the corner. For all of Kobe’s loyal fans, his retirement seemed to happen all too soon. The entire basketball community was not ready to see number 24 wave goodbye to the game. His game puzzled every defender, leaving them with endless tape reviews until they got him under their nose. But in all of his greatness, Bryant always found ways to beat them by a mile away. The world would sure love to watch the Black Mamba pull up for a turnaround jumper, a crafty fade away, or a jaw-dropping game winning three once again – even in a pickup basketball league.